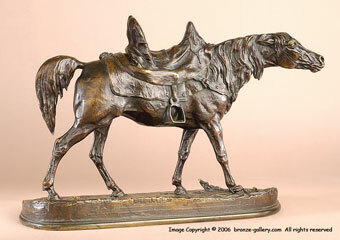 This fine large bronze is one of Mene's best horse sculptures. It is related to his Arab Mare with Saddle and Rifle which has the saddle on the ground with a rifle leaning on it. 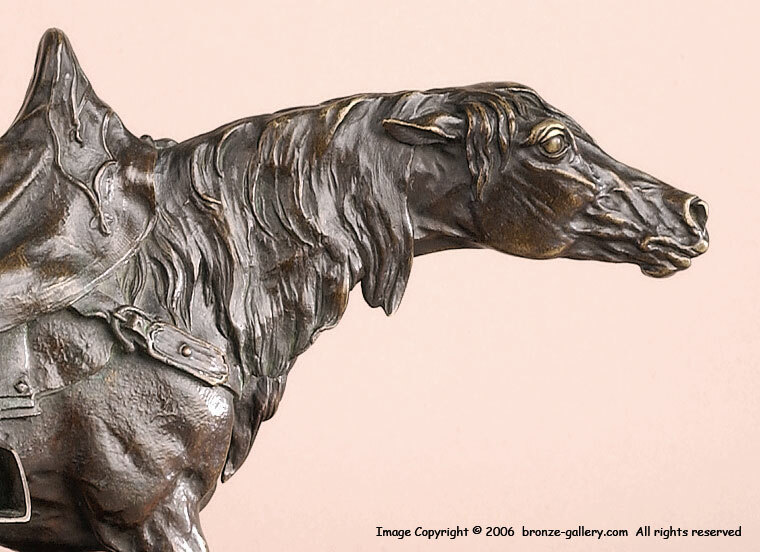 Mene's horse bronzes are his finest works and this one shows all the detail he is known for. 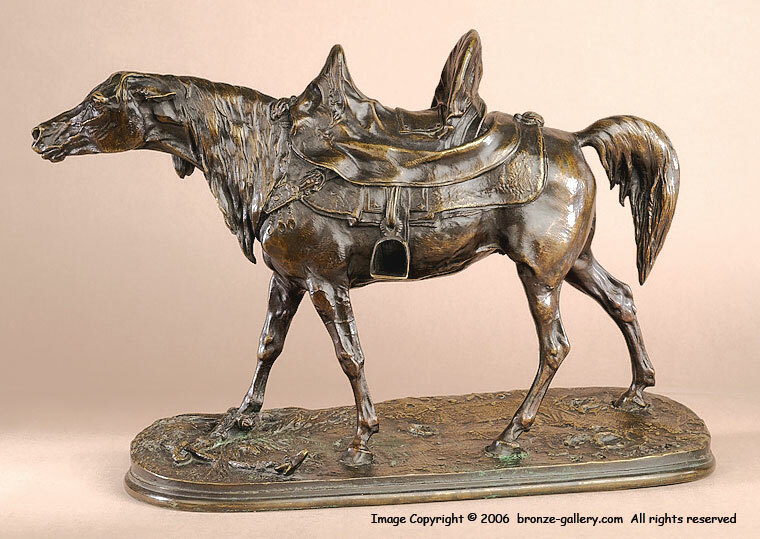 The bronze was cast in Mene's own foundry in the mid 19th century, it has superb details and a rich brown and black patina. A top quality bronze, it is one of our best pieces.